NEWLY UPDATED with Granite, lighting, and more in kitchen and master bath. New paint throughout! All furniture has been removed. A delightful 2 bedroom convertible villa with high end Murphy bed and partition giving you the open space in your daily living, but allowing for a second suit when guests come to stay! Located in the Augusta Villas of Plantation Golf & Country Club this beautiful villa invites you to make it your new home. Impeccably maintained, it boasts a 3 year old A/C, duct work & heating system, 2007 re-pipe plumbing upgrades and a 2003 roof. 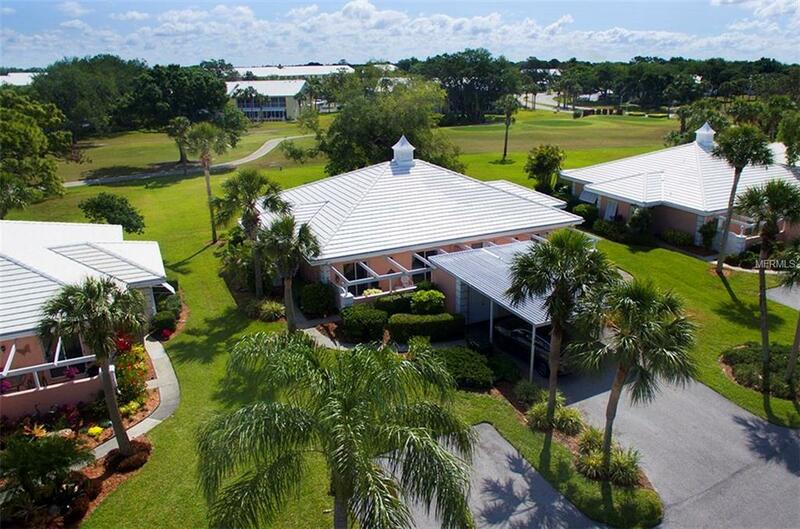 Amazing golf course views, lots of natural light, and an open floor plan make this villa desirable year round. The expansive enclosed Florida room highlights the lush green landscape with floor to ceiling windows. This villa is offered to you spotless and ready to make your own! Dont let this maintenance free lifestyle pass you by. If youre looking for a rental this is one of the best rental policies in Venice!The Plantation community is located close to shopping, restaurants and a short drive from the beach. Enjoy all of Plantations amenities such as tennis, golf, and a members only country club should you choose to join. Augusta Villas amenities include a clubhouse and 2 pools. Additional Lease Restrictions Check With Property Management Company For Official Restrictions. Pet Restrictions Check With Property Management Company For Official Restrictions.